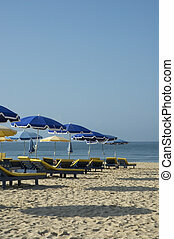 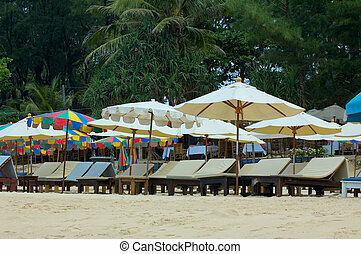 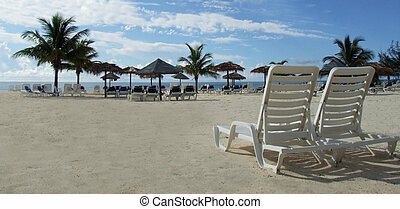 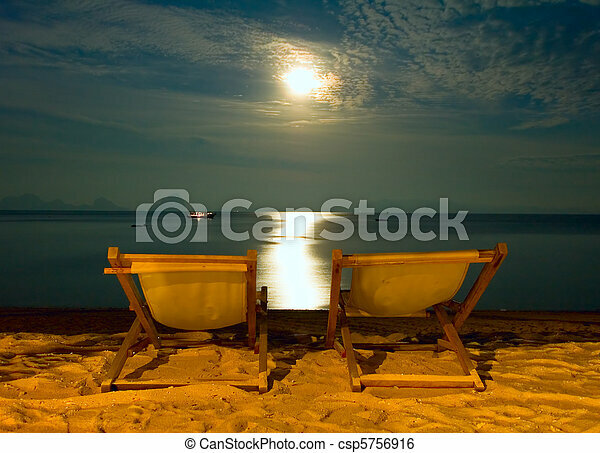 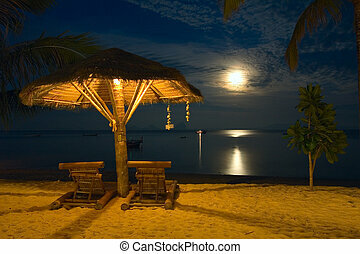 Beach chairs at tropical resort - night scene. 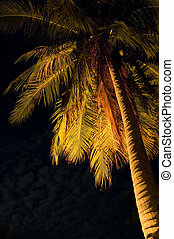 Tropical resort view with a palm. 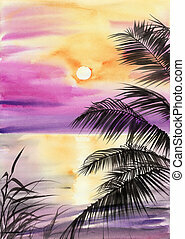 Original watercolor painting. 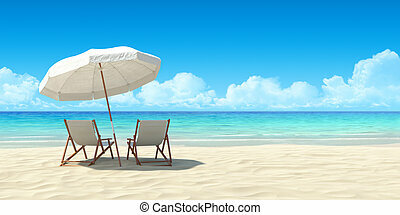 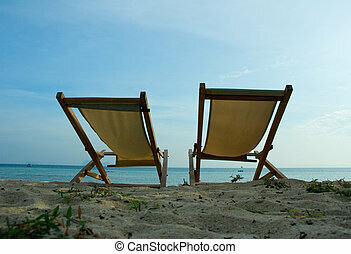 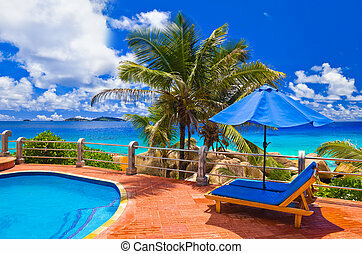 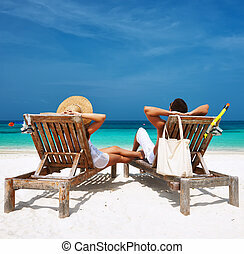 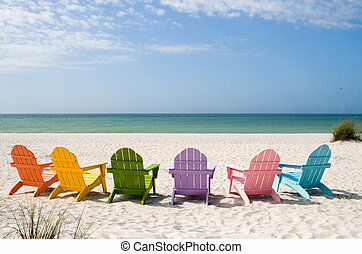 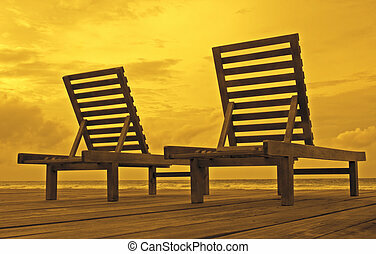 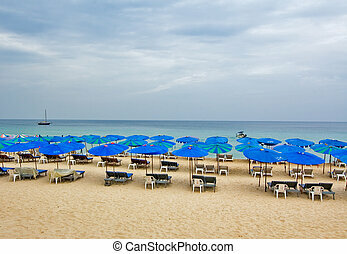 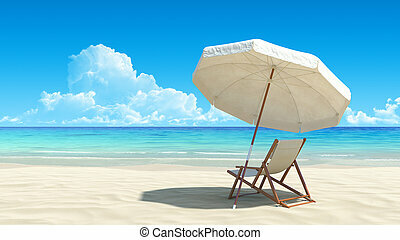 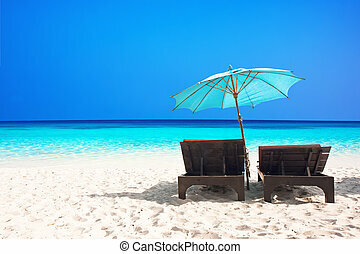 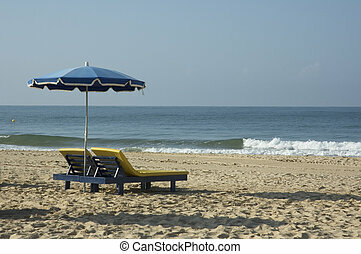 Here is an inviting image with coconut trees, empty lounge chairs in a tropical island sandy beach paradise seeming to say that, \\\"This is your spot. 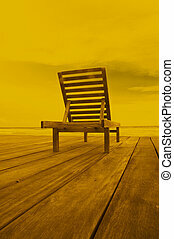 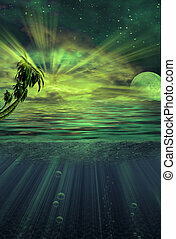 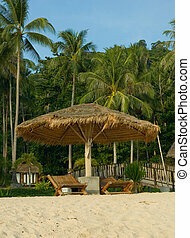 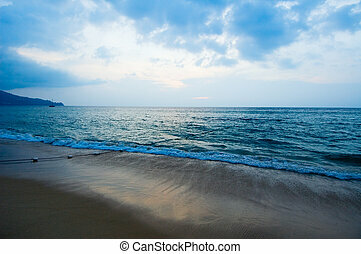 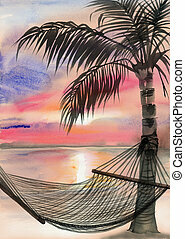 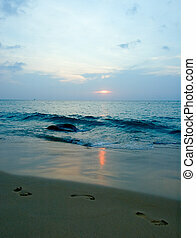 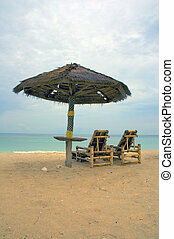 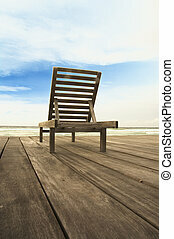 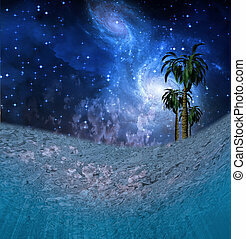 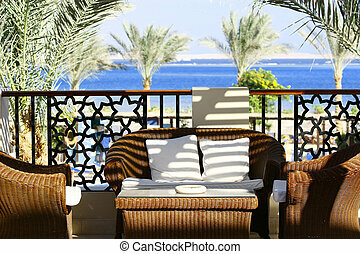 It\\\'s waiting for you.\\\"
Tropical sunset view with the seashore and a palm. 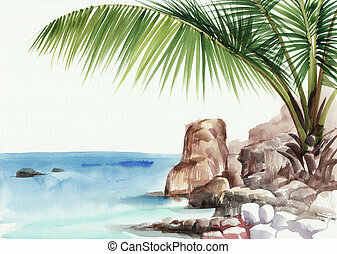 Original watercolor painting. 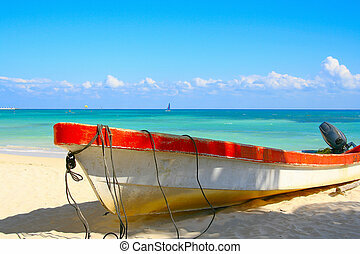 Tropical beach with a boat named "escape". 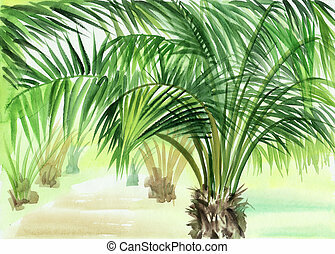 Palm alley watercolor original painting.